Are you, or a loved one, in a situation that requires the help of our experienced Kennett Square Pennsylvania lawyers? These situations can range from being the victim of an auto accident (including car, truck and motorcycle accidents), being arrested for drug possession, DUI, traffic violations or other criminal charge, going through family law issues such as divorce, immigration law matters and estate planning issues such as drafting or contesting a will. If so, you will greatly benefit from consulting with our Kennett Square Pennsylvania lawyers. Donze & Donze is a general practice Chester County, PA law firm with located in Kennett Square, Pennsylvania. We are three Pennsylvania Trial Attorneys with more than 60 years of experience in personal injury, criminal law, family law and probate and estate administration. 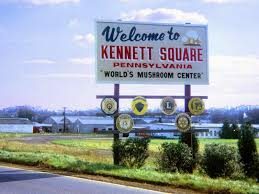 Our team of Kennett Square Pennsylvania lawyers provide sound legal counsel, effective representation and attentive client service throughout Chester County, Pennsylvania. This includes Exton, Coatesville, Downingtown, Phoenixville, Tredyffrin Township, Fallowfield, Coventry, Warwick, Charlestown Township, Wayne, Avon Grove, West Grove, Paoli, Chester, East Vincent, West Vincent & West Chester, PA. Personal injury Have you been the victim of a premises liability accident, such as a dog bite, in Chester County, PA? Are you facing mounting medical expenses or a difficult recovery from an accident that was not your fault? Our Kennett Square personal injury lawyers will file a personal injury lawsuit for a range of accidents, including medical malpractice, product liability accidents, slip and fall accidents, and more. Car Accidents Suffering an injury in a Chester County, Pennsylvania car accident can cause you , the victim, severe physical pain, discomfort, emotional suffering, lost wages due to missed time at work and endless medical issues. According to Pennsylvania auto accident law you may be entitled to benefits and financial compensation. Speak with our Kennett Square auto accident lawyers at Donze & Donze regarding your rights. Criminal Defense Have you been charged with assault, drug possession, a property crime, felony, misdemeanor or other criminal offense? We also handle expungements, record sealing and bench warrant resolution. DUI Defense If you are facing drunk or drugged driving charges call our Chester County DUI Defense Attorneys today for a free consultation. We also help those facing first time DUI charges gain entry into the Pennsylvania ARD Program. Estate Planning cases such as wills, living wills, contesting a will, guardianships, probate litigation, trusts and estate administration are just some of the estate planning cases our Coatesville, PA attorneys handle. Family Law cases such as divorce, child custody, child support and spousal support cases throughout Chester County, PA. Let our West Chester, PA family law attorneys help you. Immigration Law cases in Pennsylvania and surrounding states. These include green card cases, all types of visas, deportation defense. Medical Malpractice including surgical errors, anesthesia errors, medication errors and misdiagnosis claims. Our team of Kennett Square medical malpractice lawyers will do whatever is necessary to get you the benefits & compensation you are entitled to. Motorcycle accidents are common in the Chester County area and they can result in serious injuries such as broken bones, brain, head and spinal cord injuries, internal bleeding and wrongful death. Our Chester County, PA motorcycle accident lawyers will get you the benefits you deserve. Traffic Violations including excessive speeding, driving while suspended, driving without insurance, aggressive driving, texting while driving, reckless driving, hit and run, leaving the scene of an accident and vehicular assault. Trucking Accidents such as jack-knife accidents, rollover accidents, DUI accidents and runaway trailer accidents can inflict severe and fatal injuries. Contact our Chester County trucking accident lawyers today for a free consultation. Workers’ Compensation accidents involving slip and falls, falls from ladders, roofs and scaffolds, back injuries, crushing injuries, repetitive stress injuries, equipment accidents, machine accidents and work related auto accidents. Wrongful Death due to car accidents, motorcycle accidents, tractor trailer accidents, medical malpractice and fatal workplace accidents. Our Kennett Square Pennsylvania lawyers are skilled negotiators and courtroom lawyers. Our staff includes a former Pennsylvania public defender and prosecutor. We are skilled in the art of negotiation and have the depth of experience to accurately value any personal injury case. We will settle for nothing less than what is in your best interest. We want you to feel comfortable asking us questions. We will keep you informed about the steps we intend to take regarding your legal matter. 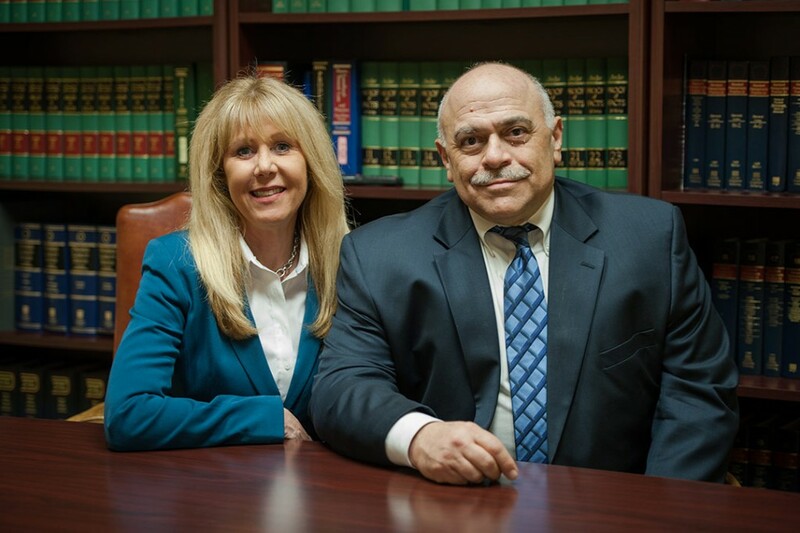 When you seek a strong, compassionate and effective legal advocate in the Chester County area, you need the Kennett Square Pennsylvania lawyers at Donze & Donze. Call (610) 444-8018 or send us an e-mail. We respond to all inquiries in a timely manner. A common concern when looking for an attorney is what is it going to cost. This is not only a common concern but it is also a very valid one. Our Kennett Square Pennsylvania lawyers represent our personal injury clients in Chester County, PA on a contingency fee basis. This means that you pay nothing unless we are able to secure compensation on your behalf. Our fee comes from a portion of that personal injury settlement. On hourly rate cases, our Kennett Square, PA attorneys charge a reasonable hourly rate and provide you with monthly detailed billing so you can track what we have done on your behalf. The Kennett Square Pennsylvania lawyers at Donze & Donze proudly serve all of Chester County, PA including Avondale, Avon Grove, Downingtown, Exton, New London, Kennett Square, West Chester, Devon, Chadds Ford, Coventry, Fallowfield, Warwick, East Vincent Twp, West Vincent Twp, Oxford, Valley Forge, Coatesville, Malvern, Paoli, Tredyffrin Township, Phoenixville, Unionville, Schuylkill Township, Charlestown Township, Wayne, East Nantmeal, West Nantmeal and West Grove, Pennsylvania. Copyright © 2012. Donze & Donze. All Rights Reserved.